We will be joined by director Paddy Breathnach and Dr. Julie Mullaney, the Head of Culture at the Irish World Heritage Centre for a Q&A following this screening. Rosie is a mother to four kids and partner to John Paul. They are a family without a home. Set over 36 intense hours, Rosie is the story of a woman trying to protect her loved ones and maintain their dignity in a deepening crisis. 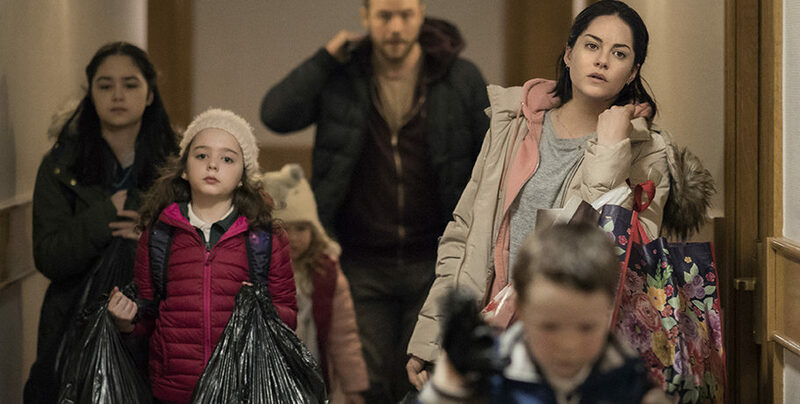 Rosie picked up two awards at the 2018 Irish Film London Awards: Best Feature Film and the Ros Hubbard Award for Acting, for Sarah Greene’s performance. Presented in partnership with Irish Film London and the Irish Diaspora Foundation at the Irish World Heritage Centre, Manchester. This screening is a part of the Irish Film London Rosie UK Tour 2019, supported by the Emigrant Support Programme, the Ireland Funds of Great Britain and Culture Ireland. You can find out more about IFL and the rest of the tour at www.irishfilmlondon.com.